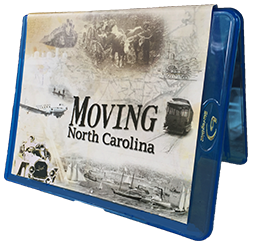 The Public Television documentary Moving North Carolina is available on either DVD or Blu-ray disc. As a thank-you for visiting this site, we are pleased to offer a 20% discount off the total list price of all items you select. When you check out, enter the discount code MNC to receive your “thank-you” discount. All orders are processed by our secure online retailer, CCNow. When you enter a quantity and click the “Buy Now from CCNow” button, you will be directed to their secure site for purchase. 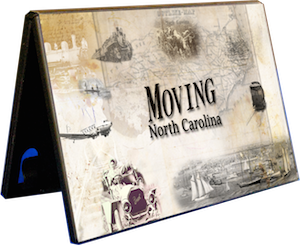 Shipping & handling for a domestic order will be charged at a rate of $3.00 plus $1.00 per item in the order. Sales tax is included in the purchase price. Thanks for your order. We generally ship orders within a day or two of purchase.